Fulfill that late night coffee house craving by filling your heavy duty clearomizer with Cappuccino flavored e-liquid, attach to your favorite MOD and get fat, aromatic vapor that can do nothing but satisfy! 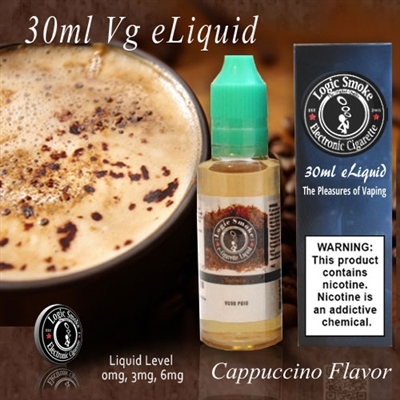 Vape alone or add in a few drops or more of Chocolate Cream and make it a mocha. Or give it a sensual twist by adding our exotic Vanilla flavored e-liquid. You can't go wrong!